Don't let that header fool you! There is nothing "done" about sneaky peeks. The time has come for June's new release sneak peeks for The Cat's Pajamas Stamps. 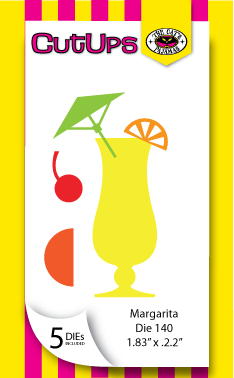 This release is fabulous with some new alphabet dies and wonderful summer drink designs, sentiments, and dies to match. Get your pen and paper ready this week to jot down your favorites as the Kitty Cat Pack share with you some awesome creations. For my first card, I am using the new Big, Little, Alphabet dies to create this fun card in coordination with the new set called Penguin Summer. I don't know about you, but I have a few days this sentiment could be used! I just love it and decided to use the alphabet dies to start the sentiment. There are so many fun images in this set that it was hard to choose but I settled on this cute guy on the pogo stick. 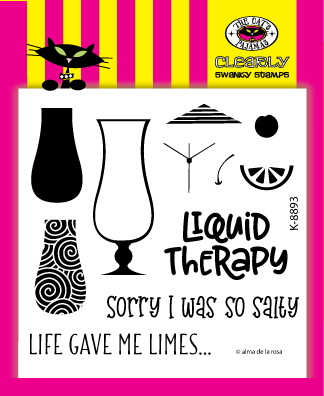 For my second card, I am using the new Liquid Therapy set for this watercolored margarita card. 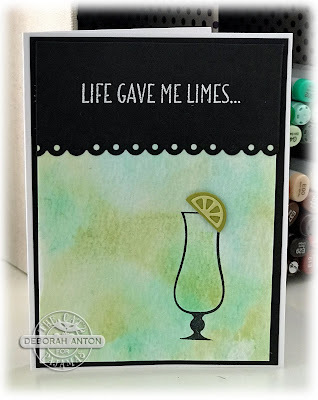 Using some Distress Inks, I created the watercolored background and added a top panel cut out using the Eyelet die and heat embossed the sentiment in white. I finished the card with the lime cut out from the Margarita die set and popped that up for a little dimension. Leave a comment as your peruse through the sneaky peeks and a random winner will be chosen for a TCP gift certificate. Thanks for popping in and hope you have a great week! What cute cards! Love how you used the dies and stamps-- gotta get those penguins!!! And that hurricane set would make a fun Mardi Gras card, too! This release looks awesome - love the penguins and the cocktails! I love images that tickle my funny bone right off the bat! The penguin done adulting did it for me!!! And a pogo stick? Awesome!!! And liquid therapy might make the world a better place. I thought I had let a comment but here goes again! 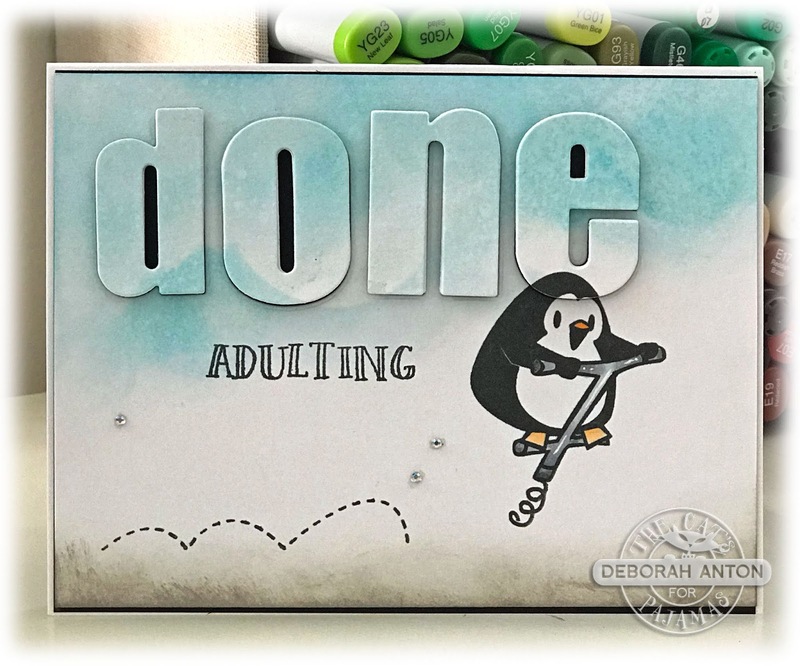 I love the penquin stamp set and the going round and round die! What a great card!!!!! Very fun cards! Love that Big Little Alphabet set, and Penguin Summer has some adorable images and cute sentiments! I absolutely love these new sets!!! can't wait to get them :)Love you work!!! These are fabulous! Love the cute penguin. That card is soooo funny! That is my mood right now... done adulting! lol. Thanks for the chuckles! Your inked backgrounds are lovely and I love these new sets! So many possibilities and I always love the penguins and snarky sentiments. Thanks for sharing your cards. Love those Penguins! And they will be so versatile for card making or scrapbooking! 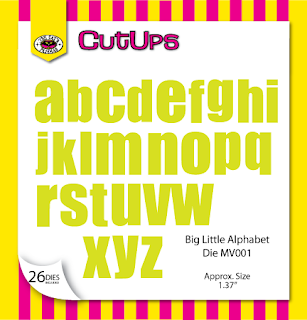 Great bold letter dies too! Love both your cards...so fun! 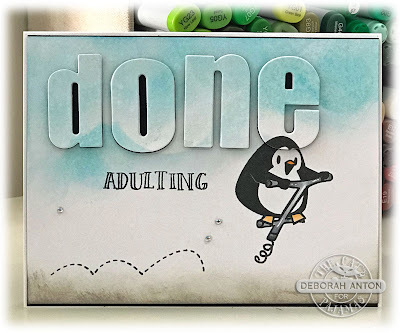 Super fun cards Deborah especially since I am having a "done adulting day."